At WUWT there's an article by Danley Wolfe (archived here). No, I'd never heard of him before, either. He's not a climate scientist as will become quite clear. He's just another WUWT denier who Anthony Watts decided to trot out for some inexplicable reason. In his article, Danley is writing about the so-called hiatus in global warming. He has got so much wrong that I'll not hope to cover everything. So I'll just pick him up on a few points. This is what Danley plotted. He said he got the temperature data from NASA GISS. I don't know what he got. GISTemp data is provided as anomalies from a mean. I'm not aware of any data it provides in actual temperature. If Danley added an anomaly to some actual, then how did he adjust it every month? I don't know. And he's not saying. As you can see there is a strong correlation. Quite the opposite from what Danley said when he wrote: "...a complete lack of correlation between atmospheric CO2 and global mean temperature during the ongoing hiatus." Even over the short period from 1999 to 2014, the chart shows a linear trend. One needs to scale the CO2 data correctly for an honest comparison with temperature, so that it can actually be used to evaluate climate scientists’ predictions of the CO2 effect. You can calculate this with a complicated climate model, but one can also use a back-of-envelope estimate. A CO2 increase from 280 to 400 ppm (equivalent to 2 Watts/meter2 radiative forcing) produces about 1 °C of global warming (at the time when 400 ppm is reached – some further warming will follow with delay). Thus, an increase of 100 ppm CO2 on the right hand side of the graph corresponds to a temperature increase of 0.8°C on the left hand side. It's a bit rough - but you can easily see that temperature and CO2 are heading in the same direction at the same time. Remember, too, that this is only the surface. The oceans are absorbing more than 90% of the extra heat being retained in the system. How many wrongs can a denier fit into a short paragraph? The IPCC make a robust claim that climate change is “caused” by anthropomorphic / greenhouse gas causes – with a certainty at the “97% confidence level” (… never mind this is a social science Delphi polling of consensus hands, and not a fact-based probability. Having said that, they go on to say we are now “on track” (talking point phrase) for a temperature rise of 2oC, with range of 1.5-4.5oC (AR5) (Ref4), the self designated tipping point. So the obvious inference, therefore, is that AGW is what will be doing the “causing” of temperature to rise above the critical point leading to catastrophic damage to mother earth and all its inhabitants. Danley seems to be confusing the 97% consensus found in studies like Cook13 (which AFAIK didn't rate a mention in the IPCC report) with the scientific finding that it's greenhouse gases that are causing the world to warm. He is also wrong when he conflates climate sensitivity (1.5 to 4.5C), or perhaps transient climate response, with the 2C target set by the world's governments, beyond which they don't want the world to warm. He then confuses both the previous with a tipping point of some kind, though he doesn't say what is going to tip where. Then he gets a tad emotional, talking about "catastrophic damage to mother earth and all its inhabitants". You'll not read those words in any IPCC report. 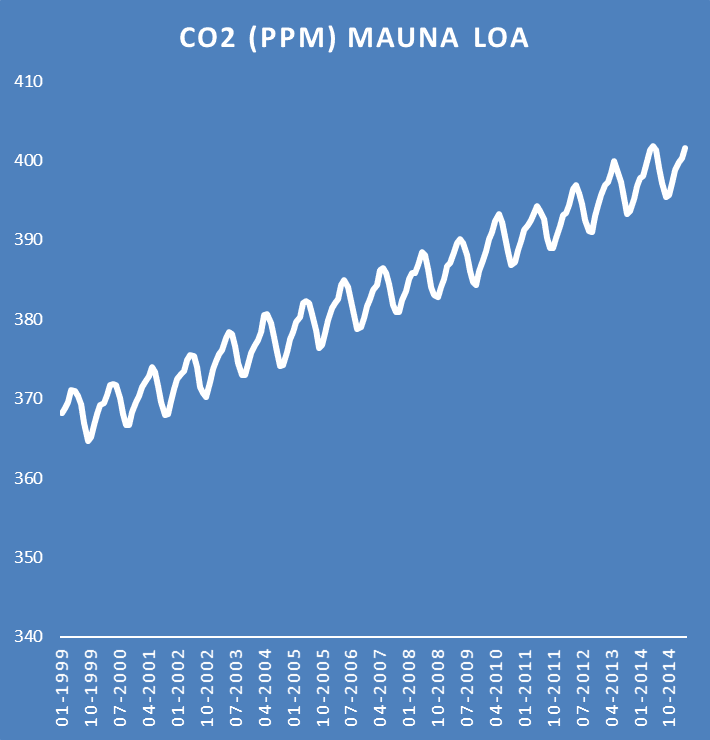 It is also important to recognize that the Mauna Loa data includes manmade and non-manmade CO2. The policy prescriptions (and most of the agitation) are mainly directed towards reducing manmade CO2, although there is consideration on land use and burning of forests to plant palm plantations (as in Indonesia and elsewhere). What is he getting at? Of course the measurements of CO2 concentration includes all the CO2 in the lower troposphere. It doesn't just pick out the molecules that got there when we burned fossil fuels. Is he suggesting that every time a CO2 measure is taken, the techs only count the molecules that got there by burning fossil fuel, or because a tree was chopped down? We also know that the integrated assessment climate models (IAMs) are deterministic physical models of the climate with built in predetermined physical cause and effect structures. We can say they are wrong based on their ability to explain the data (facts) during this hiatus. The RCPs were developed using Integrated Assessment Models (IAMs) that typically include economic, demographic, energy, and simple climate components. The emission scenarios they produce are then run through a simple model to produce time series of greenhouse gas concentrations that can be run in AOGCMs. 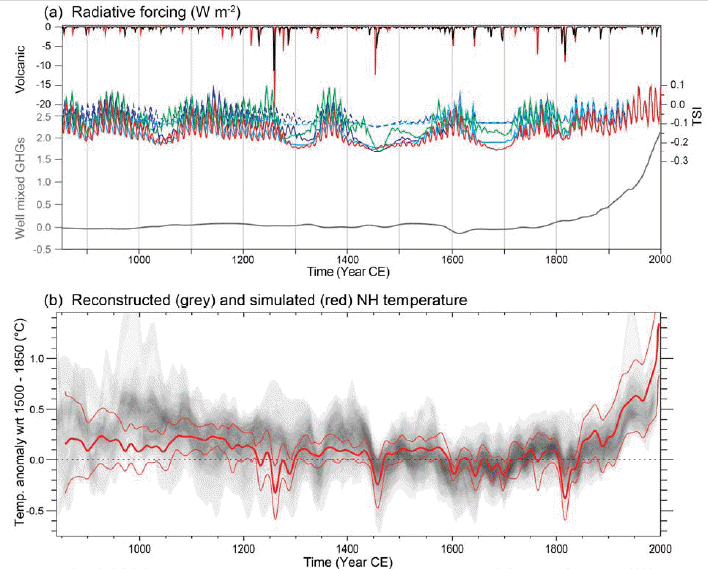 The emission time series from the RCPs can then be used directly in Earth System Models (ESMs) that include interactive biogeochemistry (at least a land and ocean carbon cycle). Danley finished with this, probably intended to provoke serious thought, not the guffaws I'm hearing from you all. I would like for someone to have made the points above with accompanying figures to Congressional types in explaining what the hiatus really means, and then watch to see any shock effect. You're probably as sick and tired of reading the stupid at WUWT as I am. Are the comments getting worse? No. I don't think so. As long as I've been WUWT watching, the comments have been just as bad as these. ... I would go much further if site rules permitted and explain why I think that CO2, on net, is a cooling factor rather than a warming factor. 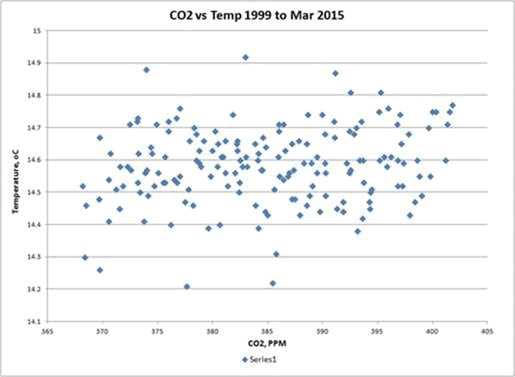 But regardless of whether I am correct or not, it is obvious that CO2 does darn little warming as your figures in your post demonstrate. Ah, and there’s the rub. You are correct, adding radiative gases to the atmosphere cannot possibly reduce the atmosphere’s radiative cooling ability. Additional CO2 would only cause immeasurably slight cooling. Warming from CO2 is a physical impossibility. But the gatekeepers at WUWT have decided that the lukewarm “warming but less than we thought” Realpolitik solution has a chance. But of course it does not. There is no real difference between utterly wrong and slightly less wrong. Wrong is wrong. Sceptics who choose the “warming but less than we thought” approach due to their lack of understanding of radiative physics and fluid dynamics are truly more foolish as the warmulonians. They fear looking foolish and refuse to contemplate that there is no radiative atmospheric radiative GHE. In doing so they leave a permanent record of being more foolish than the warmulonians. Hard sceptics never forgive and the Internet never forgets. Prominent sceptics recently met with warmulonians in the UK to try an negotiate a “lukewarm” Realpolitik settlement. Sadly Anthony was amongst them. Their efforts are without worth. 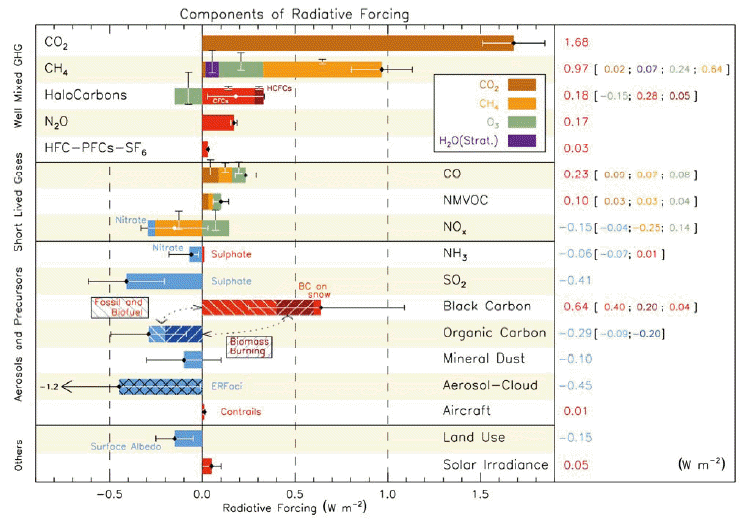 Radiative gases are the primary cooling mechanism for our atmosphere, which is heated primarily by conduction and release of latent heat of evaporation. The WUWT approach of censoring hard sceptics just leaves a permanent Internet record of the gatekeepers here of supporting the most foul assault on science, reason, freedom and democracy in the history of mankind. 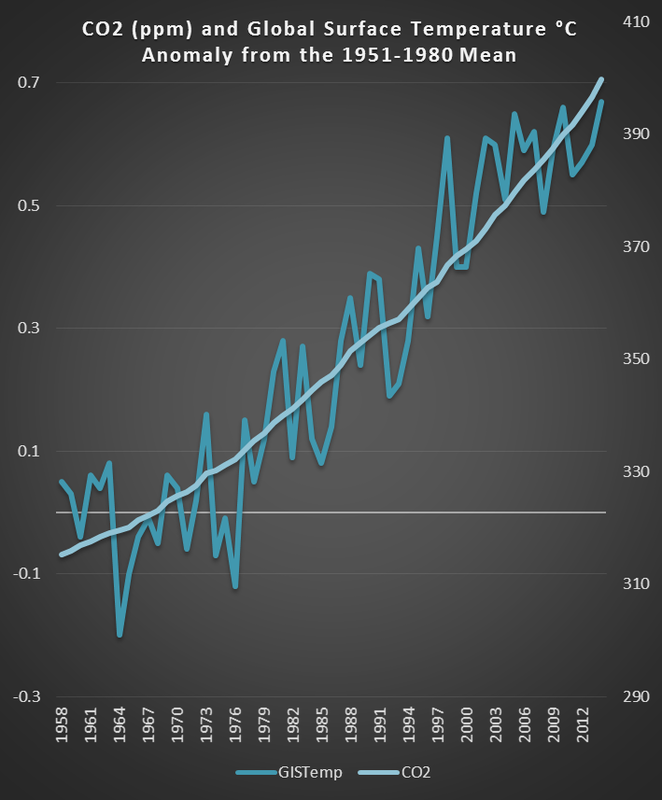 Even though it’s supposed to be heating the oceans, atmospheric CO2 level is rising, but not warming Earth’s surface. I glanced at it (checking WUWT is akin to checking the webcomics I follow, and generally sillier). I laughed at his complete misunderstandings regarding attributions and multiple regresssions, and stopped reading when I saw him conflating IAMs (economics) with GCMs (physics). So very sad. Anyone taken in by this kind of nonsense simply isn't thinking. Anyone taken in by this kind of nonsense wants to be deceived. Notice that they hardly ever complain about the lack of any quality standards at WUWT? Even in the clearest of cases where you need no science expertise whatsoever to see that the WUWT is wrong. It is a stealth advocacy blog. Sou, that CO2 increase to surface temp increase scaling 'trick' (ooh! The deniers will be all over that like an oil slick :-) from Stefan is extremely useful. We should point that out to the deniers whenever we see them trying to flaunt one of their deceptively scaled versions of same.
" Anthony Watts decided to trot out for some inexplicable reason." casting doubt on real science is the only goal of WUWT. btw, WUWT told me about this fine blog a few days ago. Heh. Was it the loon known as smokey/dbstealey? Dennis, if the data are presented correctly a graph of temperature against CO2 can be informative. Muoncounter posted such a graph at Skeptical Science, and Barton Paul Levenson has done so a number of times over the years if I recall correctly. In all of Science there is only one rational evaluation of any measurement. It is called signal to noise ratio. The pathetic attempts a short time intervals where the noise is larger than the signal is well known to charlatans. Choose a short time interval that shows a 'trend' you want to use as evidence for your scam and you are home and hosed. I once gave a talk about signal to noise at CSIRO for the data we collect for the elucidation of x-ray structures of very large protein molecules. There was just not one question from an audience of over two hundred. Just blank stares and bewilderment. The minimum qualification in the audience was at least a degree in some sort of science. I overheard one person say to another ' I did not understand a word Bert said but he must be a smart bloke'. I had lowered the presentation to what I thought was the lowest common denominator. I still failed to communicate adequately what my reasoning and take home message was. this is what deniers do in reverse they make up simple shite a dummy can understand and then decry real scientists " 'for not knowing nuffin' "
Another gold standard in science is internal consistency of any data with other data produced by completely independent methods. Our x-ray protein structures were of high enough resolution for us to fit the known sequence of amino acids to our data. The output from x-ray diffraction data is an electron density map in 3D. It is simply the 3D Fourier Transform of the intensities and phases of the diffraction spot data. These sequences were done in those days by very tedious methods by very smart chemists. When Flu mutates it is generally by one amino acid near the active site of its two external enzymes Neuraminidase and Hemagglutinin . These enzymes are the H and N in Flu virus labels. Swine Flu is H1N1 and the numbers identify the H or N unique sequence and thus structure. The chemists had identified a single amino acid change in the sequence of Neuraminidase. We grew crystals of this mutant and collected data to compare the structure to the known one. Sure enough there was a change in electron density at the precise position the chemists had identified. Deniers seem to have multiple theories that are in total conflict with each other and yet believe them all to be true as long as they negate the dreaded CO2 conspiracy.